T.G.I Friday’s Appetizers; saving busy women one game at a time. 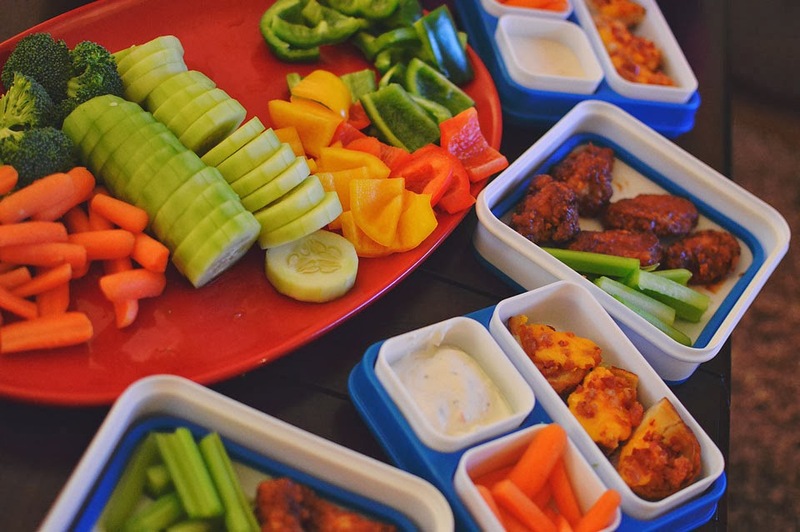 Let’s paint a picture; it’s 4 p.m. before the big game and your guests will be arriving at 5 p.m. And then it dawns on you… you forgot appetizers! You haven’t showered, you don’t have time to run to the store, and you certainly don’t have time to place an order and have it ready before they get there. So what do you do? But then a lightbulb goes off in your head. AH HA! 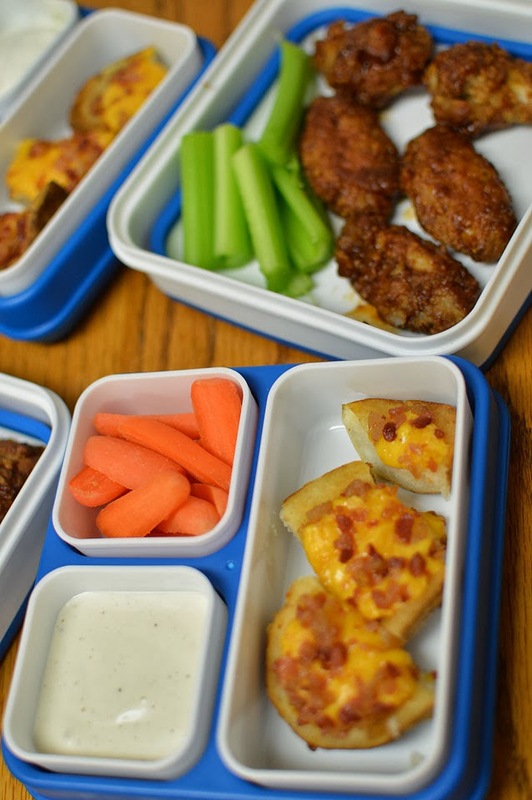 You remember that you have T.G.I Friday’s Honey BBQ Chicken Wings and Loaded Potato Skins from Walmart in your freezer and you are saved! Within 20 minutes, your appetizers will make their way from freezer to oven to serving plate and your guests will never know they didn’t come straight from the restaurant! As a busy mommy of two, I don’t always plan accordingly or leave myself enough time to get everything done that I need to. The other day, we had a few people over for the big game and I was stressed on what I was going to serve. Voila, frozen appetizers made my life ten times easier! 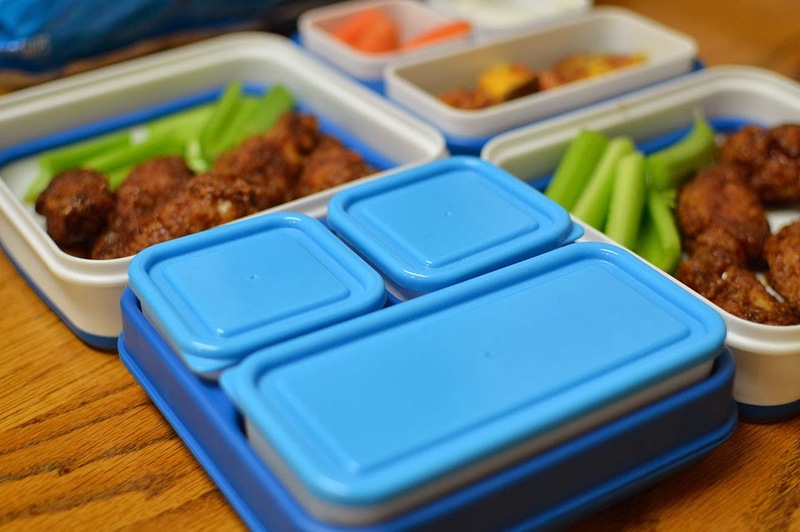 I served them in Bento Boxes with dips and veggies so that each guest could just take one and head to the couch! Even better? If they wanted to take theirs to go, they just popped the lids back on and off they went on their merry little way. I love hosting but I hate being stuck with all of the leftovers; homegirl doesn’t need to be snacking for days after the party! 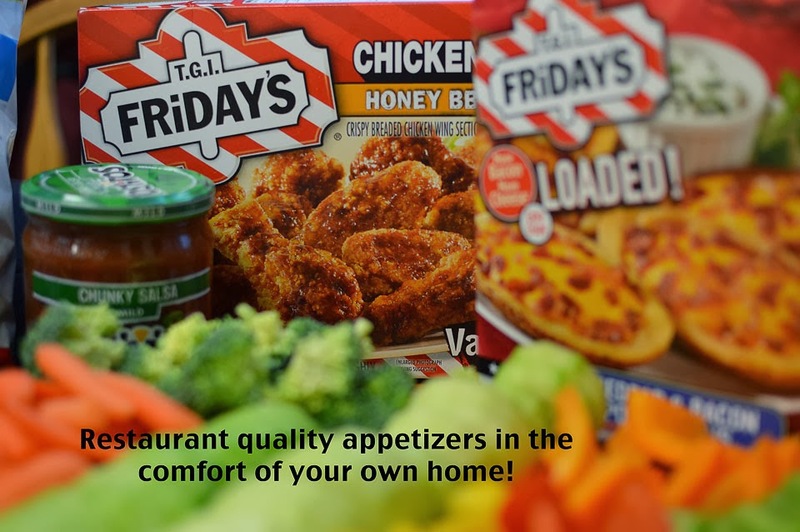 T.G.I Friday’s offers a huge selection of appetizers and other goodies… perfect for throwing together an amazing spread for the big game and other fab parties. 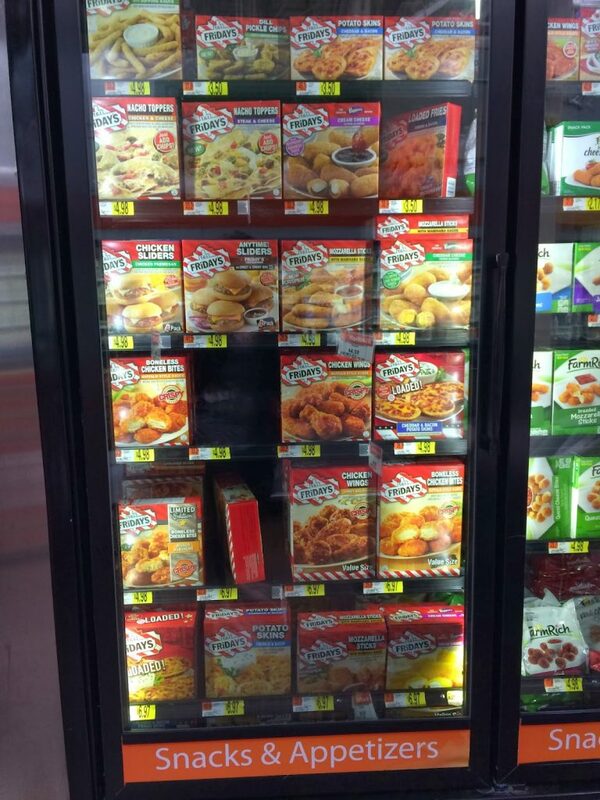 Check the freezer section at your local Walmart and I promise, you won’t be disappointed! « Yes, I’m a military wife. But it’s not what you think.